I’ve selected my top 3 sale items available on the internet today. Available in sizes 4-14, these flaring trousers are bold, daring but best of all, a great purchase for Spring. Stuck on what to wear between the changing seasons? It might be a little cold for these at the moment, but give it a month or two and as the weather becomes a little warmer, I’m sure that these will be the perfect item to wear to the office with a simple (tucked in) top and brown synching belt. 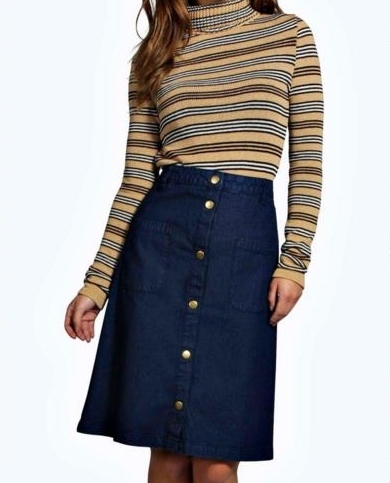 BOOHOO Denim Skirt – Reduced from £18 to £5! Everybody loves denim and in my opinion, the material can be worn all year around – regardless of the trends or season, dressed up with layering or as a simple, standalone garment. For just £5, this skirt is an absolute steal. The deep blue denim, front button detailing and midi length all contribute towards the classic look, while the shape alone is complimentary whether the owner is a size 6 or 16. A personal favourite, I’m a huge fan of Beyond Retro. A retrospective brand which restores the life into vintage clothing; I am particularly fond of the pin up appearance which is very achievable, thanks to the gorgeous selection of dresses and skirts available both online and throughout their stores. 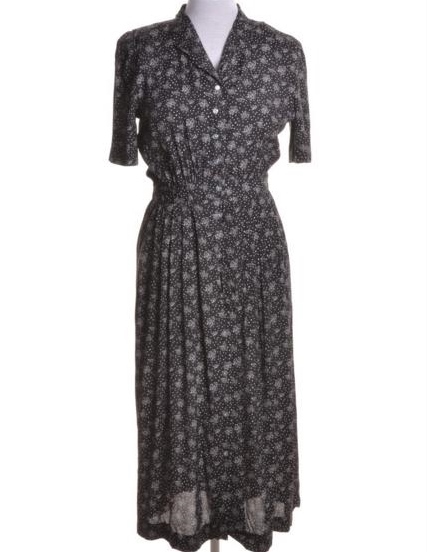 Today’s choice is this beautiful 1980s simple dress, with pleated detailing and a subtle multi-print pattern. All for just £21. Like what you read? Follow my blog for more posts like this.